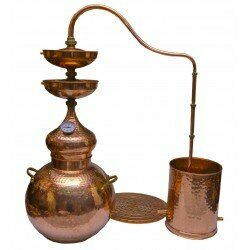 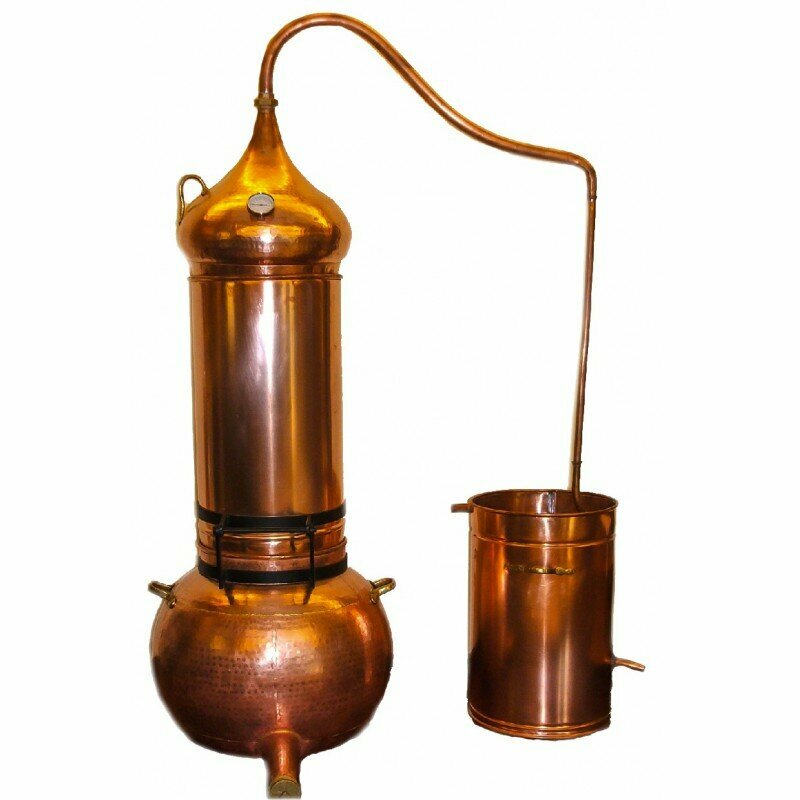 In the traditional alembic, wine and water are mixed in the boiler but with this type of alembic the copper pot only works as a producer of steam as the wine is not placed in the pot but in the column, so there is no direct contact with the water. 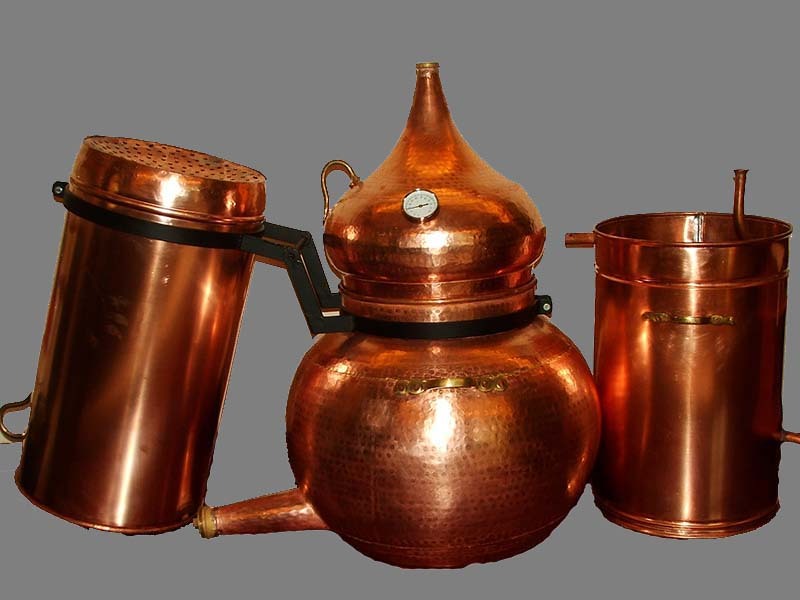 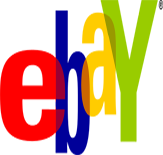 Depending on the capacity, the column may have on or two sieves tray welded inside, which allows separation of wine and water, as well as the passage of vapors. 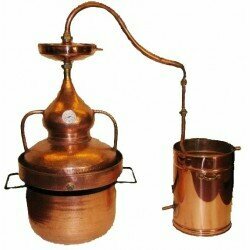 The pot here is destinated to put the water to produce the steam necessary to the process of distillation. 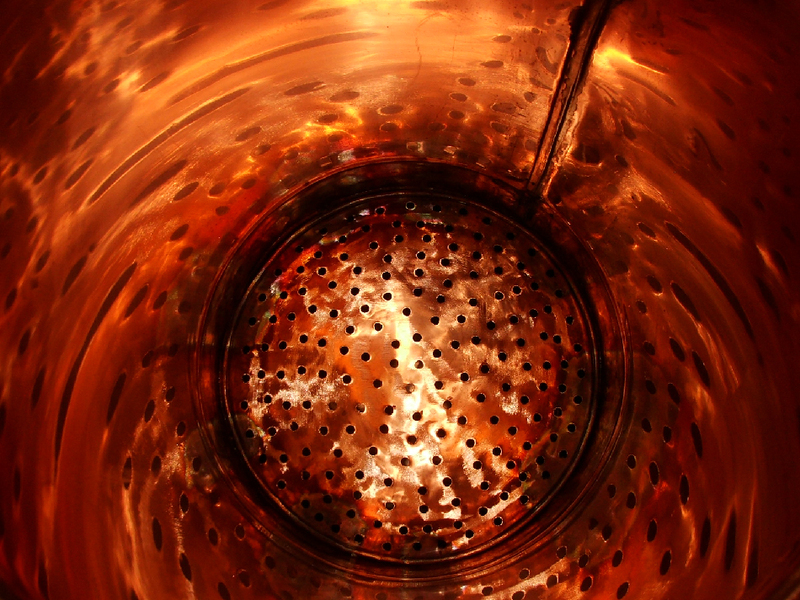 Between the pot and column there is a perforated sieve that in addition to serving to separate the substance to distill from the water that is in the pot and also to allow the passage of steam to the column. 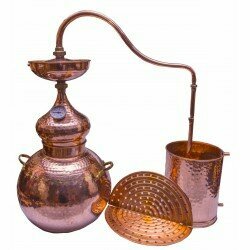 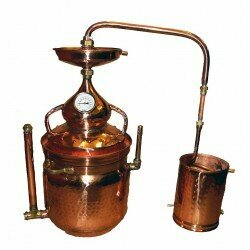 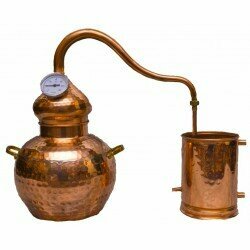 This process known as steam distillation is ideal for the distillation of alcoholic drinks and essential oils. 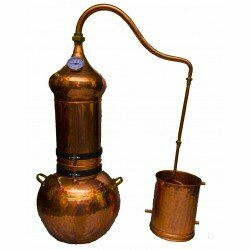 work only as a traditional alembic.